Ah, Muk Luks. The comfy, fashionable footwear originated in Princeton and gained worldwide acclaim. 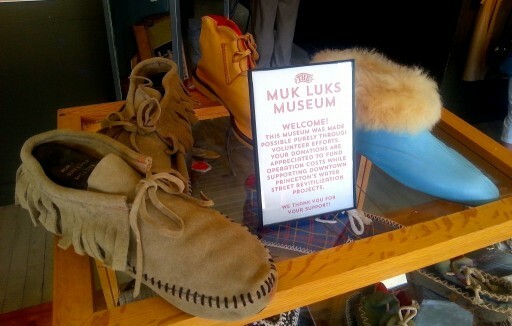 The Muk Luks Museum opened in 2014 with Muk Luk artifacts and a variety of styles to show. Original Muk Luks, the tools used to make them, old shipping boxes, and more adorn the small but interesting museum. And there’s plenty there to keep you warm. The museum is open Saturdays, 11am-3pm. It’s part of Princeton’s Shops of Water Street District, just south of Highways 23 and 73.